Over the counter drugs are medicines that are sold directly to a consumer without the need or inclusion of a prescription from a healthcare professional. Over the counter drugs, therefore, do not require a doctor’s visit to obtain the medicine, as compared to a prescription drug, which may only be sold to the consumer in possession of a valid prescription. In the majority of countries, such as the United States, over the counter drugs are selected by a regulatory agency to ensure that the substance contains ingredients that are both safe and effective. Over the counter drugs are typically regulated by active pharmaceutical ingredients and not final products; the regulatory initiative is vital when classifying a drug as over the counter. By regulating pharmaceutical ingredients, as oppose to specific drug formulations, a governing body can allow manufacturers of over the counter drugs to formulate ingredients or combinations of ingredients to create a proprietary mixture. The term over the counter may be somewhat confusing, since the majority of over the counter drugs are located on the shelves of retail stores like any other good or packaged product. By contrast, a prescription drug is always passed over the counter from a licensed pharmacist to the consumer in possession of a valid prescription. To add to the ambiguity, some drugs may be classified as over the counter, but may only be dispensed by a pharmacy employee after a formal assessment of the patient’s needs and or the provision of patient education have been undertaken. In the majority of countries, a number of over the counter drugs are available in stores without a pharmacy, such as general stores, gas stations, super markets etc. Regulations regarding the establishments where over the counter drugs may be sold, who is authorized to dispense them and whether a prescription is needed to obtain them will vary from location to location. In the United States, the sale and manufacture of over the counter drugs is regulated by the Food and Drug Administration. The FDA, operates in strict accordance with the Federal Food, Drug and Cosmetic Act, which requires all new drugs to obtain a New Drug Application prior to entering interstate commerce. Additionally, the Act also exempts any drugs that are generally recognized as safe and effective from obtaining this form. In order to observe and analyze the vast number of over the counter drugs on the market, prior to the requirement, the FDA created the OTC monograph system to facilitate the review of drugs and to appropriately categorize them. This system enabled the FDA to create classes for drugs; some classes required the filing of the NDA while others were deemed safe. 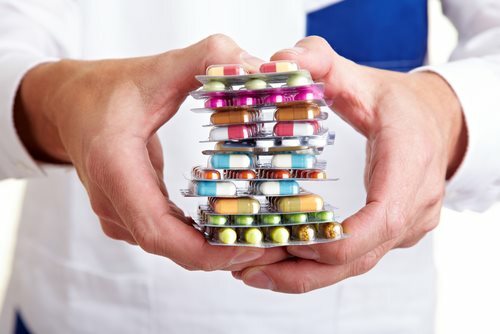 As a result, the manufacture of over the counter drugs must be done either pursuant to an FDA monograph, which specifies the types of OTC drugs, its active ingredients and labeling requirements, or pursuant to the New Drug Application, for products that do not fit within a specific monograph.